Use this app every night, wouldn’t be without it. Use it regularly on my phone too. So this is the best thing ever!!!!!! 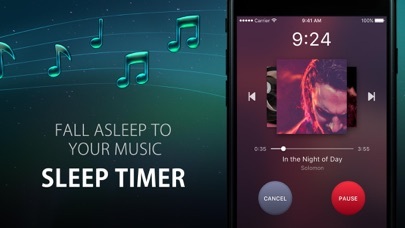 I mean you have the settings you have sleep timer and it’s just amazing! !🥰😍🥰😍🥰😍🥰😍😻😻😻I’m in love!!!!!!!! 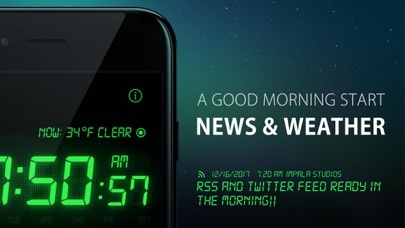 Was very satisfied, I have used this alarm clock as my primary alarm clock for many years until the latest update. Now I keep getting image retention on my iPad - I have to turn it off for several hours in order to make the image of the clock numbers go away. Instant delete. 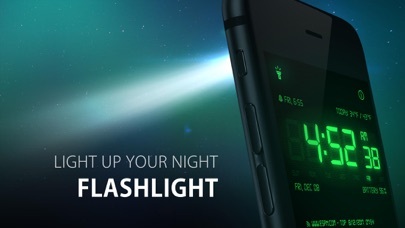 Offers no functionality than the standard iOs clock (which has never let me down). Bedside clock? Just tap the screen twice. Won’t go off even though my alert says it’s the next alarm. Sometimes takes three or more sets to get it to alert that it is set up use to only take one and now it might not even come on. Using it on iPhone and an IPad. Loved this app. Updated and while it has always played even with the mute switch on, it did not this morning. Sadness. 100% charged, plugged in. Please either fix this again or add a setting to toggle this behavior. 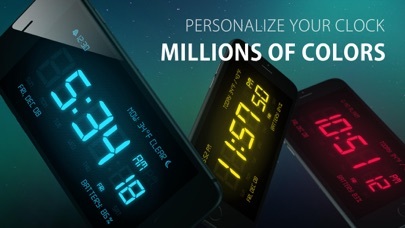 Have used this app for my daily alarm clock for YEARS. I always leave my ringer off so I don’t hear miscellaneous notifications during the day or night. As of Monday this week, the app stopped waking me up. Now the ringer apparently needs to be on for the sound to work? What changed? What happened? Why is this suddenly change? I’m puzzled since this problem does not seem to coincide with any software update. Simple to use and actually does what it’s supposed to do. A great app. Only Alarm App I will use!! Love being able to select my own music to wake up to! It tells me the weather for the day and even my battery percentage, so I can keep track of that. Super app! Occasionally no sounds from alarm! I’ve been using this app for a long time and loved it. Unfortunately lately I’ve had several experiences where the sound did not come on. The alarm screen was showing that it was sounding, but no sound was coming out. 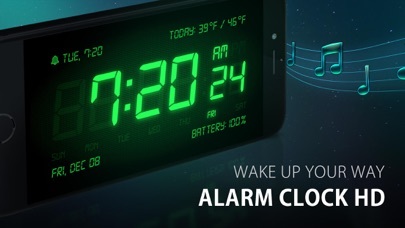 It may be time to find a new alarm app if this can’t do the primary things it’s supposed to.